This is the fourth Shetland Quartet police procedural, featuring Jimmy Perez. In this story Jimmy Perez and his wife-to-be, Fran, are visiting his parents on Fair Isle. I think it is difficult to imagine a more remote and forbidding setting for a crime story – lovely and totally irresistible! After a broken relationship Jane Latimer sees the bird centre in the former lighthouse as a sanctuary. She loves her job as a cook and takes pride in running the kitchen smoothly. Soon it is clear that the place is not quite as idyllic as it seems, however. First Angela Moore, the beautiful but self-centered warden of the bird centre, tells Jane that they won´t need her the next season as they have found a young woman to replace her. And this is only one of a long row of conflicts boiling underneath the surface. Furthermore, bad weather isolates the staff and their few guests, and when two women are killed, Jimmy Perez is left with a kind of locked-room mystery which he must try to solve all on his own, before more people are killed. Perez struggles to solve the case, but he does find the time to worry about Fran and how she will fit in among his family and the other islanders. This book offers a terrific mystery and excitement all the way through, but also a sadder and darker tone than the other books, and not only because Jimmy Perez threatens to leave his job so we will have no more Shetland mysteries. Maxine very kindly sent me her ARC. This entry was posted in Ann Cleeves, British, review, review 2011. Bookmark the permalink. Dorte, Good review. I must find one in this series so I can dig in. And, congratulations to you about inheriting a box of crime fiction gratis. Lucky! I trust we’ll be reading your commentary when you have finished each one. I wish I could bury myself here for a few months with mysteries, tea and good pastries. And I wouldn’t come out until the birds start chirping in March. This does sound good. I’m going to look up the first book and give it a try. Thanks. I’ve had Ann Cleeves on my list of authors to look for for ages but you know how it goes – too many books, too little time. Bad weather does add a great level of spookiness and isolation to murder mysteries. On my list too. I have been reading only lit fiction lately and feel greatly deprived. Ah…so now we know which book you chose to read. 🙂 Hope you’ll review the other soon, too. Margot: the only problem about the weather is that after the opening scene where Fran is sure the plane will crash, I am not so sure I want to go to Fair Isle any more! Barbara: Ann Cleeves is a wonderful writer, and it is difficult to say if this series or her series featuring Vera Stanhope is best, but she always offer wonderful settings because she knows so much about wildlife. This series is one I want to read but I want to start from the beginning. Kerrie: ah, that is good news. Clarissa: that is a very good idea because even though the cases are not related, his relationship with Fran develops and changes over time. I really, really must read her. Thanks. I keep saying we need a 36-hour day, so we can read for a large part of the time. It’s as important as shelter, food and water (or tea). I have to find a way to read Ann Cleeves. My library has a few in this series, but no Vera Stanhope, so I’ll have to figure out a plan as I hibernate this winter. Kathy: 36 hours is such a bright idea, but I am sure our government would expect me to work twice as much first…. 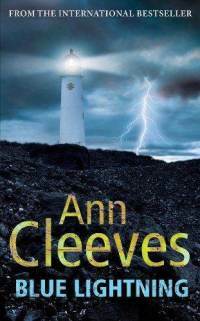 Enjoy Ann Cleeves! Thank you, Martin. It is a fine series, and I am glad to hear Ann plans to write more books about Jimmy & Shetland.